Rope all of these together and you get, PIONEER PEPPER & THE SUNSET PIONEERS, a cowboy singing group that takes you back into the days of the old west. 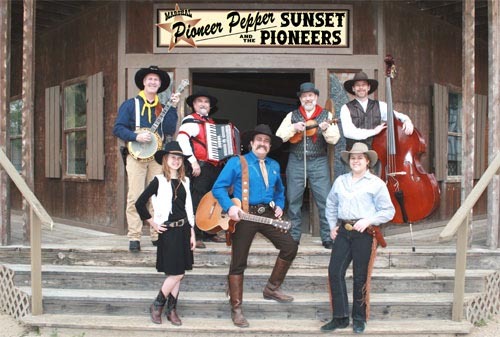 The Sunset Pioneers are international entertainers and have been to Austria, England, Canada, and across the United States. 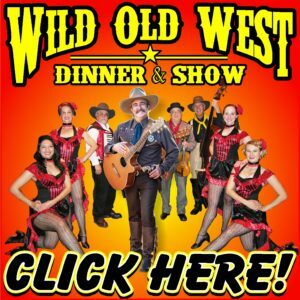 They performed for the “Little House On The Prairie” TV show reunion at the Western Film Festival, filmed with the BBC-TV for the TV series “Only In America” and with the Midwest Country TV Show on RFD-TV Network, and performed in Hollywood at the legendary House of Blues on Sunset Blvd. Oh, but the notches on their gun belts don’t stop there! The Sunset Pioneers have the honor to be named Fender Artists, they are the official town balladeers of Gilbert Arizona, the fastest growing city in the USA, and were named Top Personalities of the year, by the Arizona Republic newspaper! 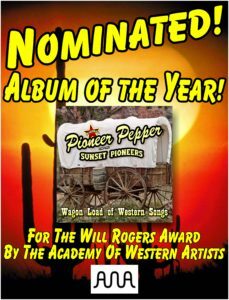 Their album “Wagon Load Of Western Songs” has been nominated for the Album of the Year, by the Academy of Western Artists, for the esteemed Will Rogers Award, and Pioneer Pepper & The Sunset Pioneers were recently featured on ESPN Monday Night Football! 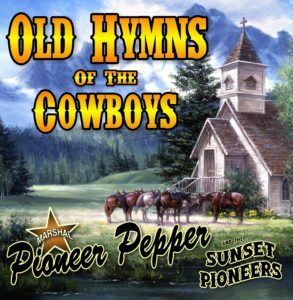 These nostalgic songs will drift off the stage and into your hearts, where a little bit of cowboy lives in all of us. The good clean humor is refreshing and the blend of vocal harmonies will melt you right into the western sunset. 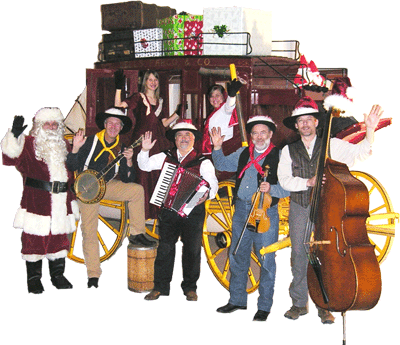 Christmas through the eyes of the cowboy can be found in their “Singing Cowboy Christmas Show”, a blend of songs, stories, poetry, laughter, memories, and meaning. Special guests join The Sunset Pioneers on stage, and you even might get caught in the middle of a snow ball fight during the show! 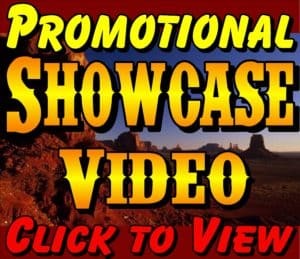 While you mosey about on the site, make sure you check the ‘show schedule’ to see where we’re performing, information and emails on all the band members, sponsors, pictures, tours, links, and the Wagon Wheel Mercantile, where you can purchase our CDs and pictures. I hope you enjoy our web site and thanks for riding along with me on the old cyber trail! down the trail. Yee Ha! !